The average consumer spends more than two hours per day on their smartphones and 50 minutes of that time is spent playing games (QSR Insights). Businesses have identified that trend and turned it into an opportunity, coining the phrase “gamification.” Gamification can be defined as the application of gaming mechanics (such as points, goals, and rewards) to business elements and is a marketing strategy that has been used so successfully that it has grown more than ten-fold in the last few years. Many restaurants have already implemented this concept into their day-to-day operations and are seeing big benefits, namely improved brand loyalty, increased customer engagement, and increased employee productivity and morale. Many restaurants have loyalty cards or rewards programs that reward you for repeat purchases, often offering a free item if you purchase a certain number of their products. A gamified version of this leverages technology to provide an elevated, interactive experience that can also be shared on other platforms. 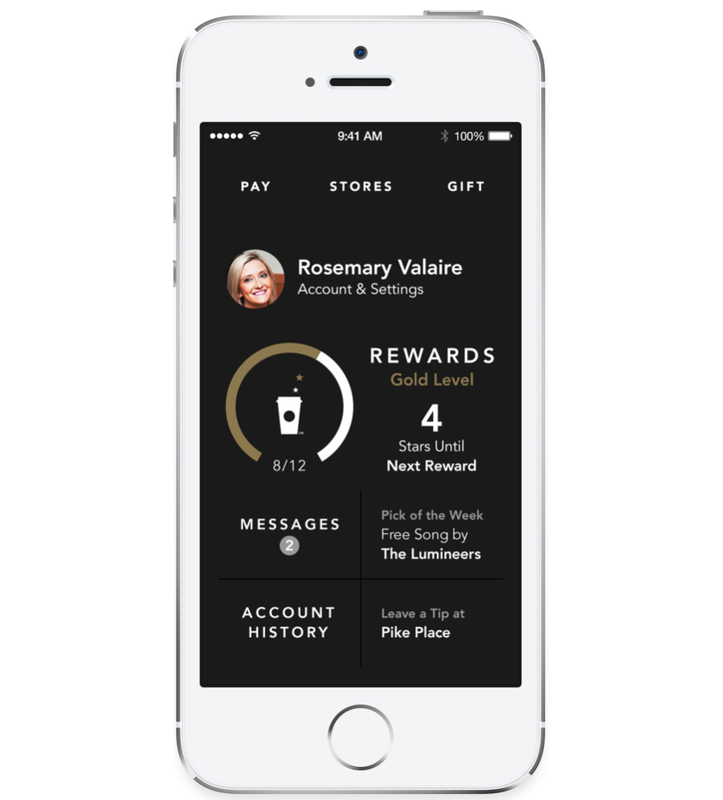 Starbucks has long been an industry standard in gamification, offering robust gamification in their My Starbucks Rewards app. Considering the average consumer spends almost 50 minutes per day playing games on their smartphone, and nearly half of Millennials (45 percent) go out of their way to shop at stores offering rewards programs (Boston Consulting Group et al), a rewards system that leverages gamification will contribute positively to loyalty. Walking into a Starbucks at any time of day and witnessing the sheer volume of customers using the Starbucks app to buy their product, gain more points, or to redeem a coupon will confirm gamification engenders loyalty. 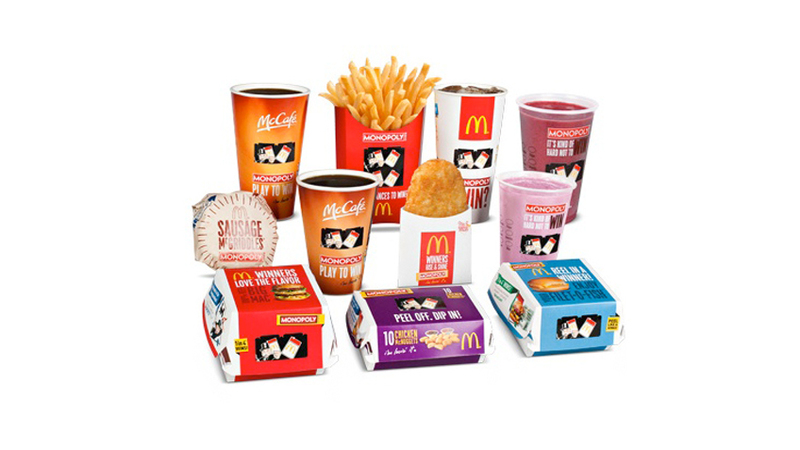 How often do you buy food at McDonald’s (provided you like their food and have no reservations about consuming it)? Now, how often do you find yourself buying a McDonald’s product when it runs its annual Monopoly promotion? Indeed, even the prospect of possibly winning a prize is enough to convince potential customers to make an instant purchase decision. McDonald’s Monopoly is a promotion that was introduced in 1987 and has flourished ever since. These days, there is naturally a digital component but the essence of the game still exists: go to McDonald’s, buy a participating product, peel off the game piece, and discover what Monopoly property or instant-win prize you have just won. Each peeled sticker will also have an online code, which you can enter online or through the app to see if you’ve won an additional prize. You can track your properties online or on a physical Monopoly game board, and then redeem different properties for different prizes. The inherent benefit to McDonald’s Monopoly is that consumers are more engaged; they are tempted to purchase more items than usual because of the promise that “1 in 4 is a winner.” This has translated to a five to six percent increase in same-store sales during the promotion, proving that a properly executed gamified strategy will boost customer engagement and drive sales. Restaurants can use McDonald’s approach as an example of how to best engage consumers and get them returning to your establishment for repeat purchases. Incentivise them with the promise of rewards, demonstrate that repeat purchases will increase the potential for rewards, and most consumers will want to engage with you to see what they can win. Gamification need not be just a customer-facing strategy; in fact, it is widely used for internal corporate purposes. 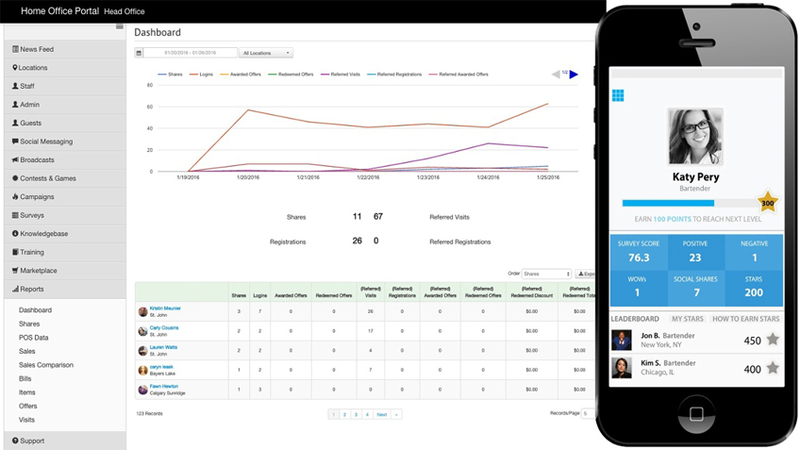 Cara Foods leverages a program called UPCell by GuestEngine to drive sales, boost productivity, and increase employee morale. Andrew Moore, Digital Marketing Manager at Cara Foods explains the program on the MaitreD POS blog: “Goals are established for each employee within each restaurant. Those goals aren’t necessarily the same for each associate – the restaurant sales goals that are established for a trainee are different than those set for a shift lead. Employees have their own challenges, goals, and rewards for achievement. As employees receive rewards for their work – whether through prizes or through more overt recognition – their morale improves. And, typically, an employee who is more motivated will be more productive. Higher productivity translates to a more efficient business model and, potentially, to higher sales. Some businesses choose to utilize smartphone apps as the platform for this strategy, while some restaurants have put digital screens in back-of-the-house to highlight key stats for the day. Ultimately, one only needs to look at the recent success of Pokémon GO to realize that gamification is a highly topical and potentially lucrative marketing strategy. Restaurants that can find a way to properly implement gamification into their day-to-day operations will find themselves benefiting from increased customer engagement, a boost in loyalty, and improved employee morale.